Sometimes the simplest iPad app is the most powerful. That has sometimes proven to be true for the desktop as well. Recently, I stumbled upon one of those "powerful, but simple" apps when I started using the Web 2.0 App and iPad app Simplenote. Simplenote is exactly what its name implies. 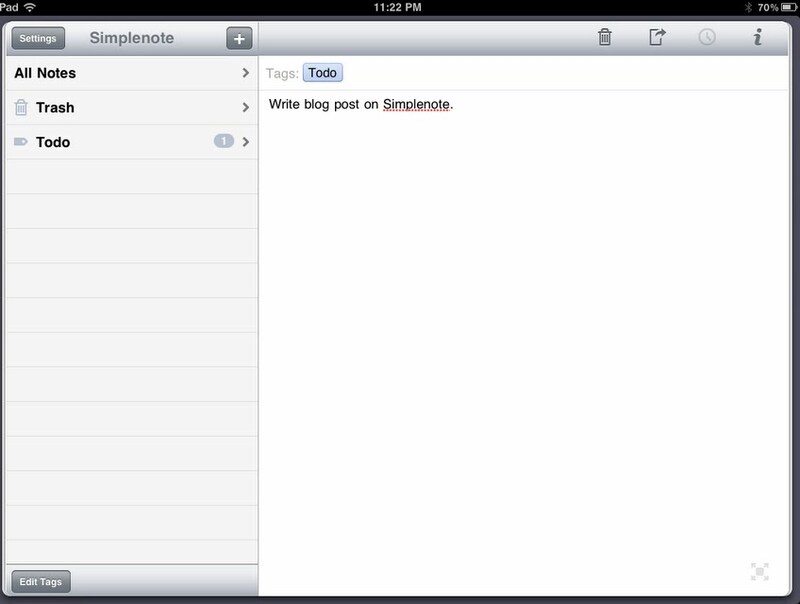 It offers users the ability to take notes, and apply a simple tag to those notes for organizational purposes. Then, the note is accessible from the iPad, the web, from the desktop, and from smartphone. The desktop access to Simplenote is through an application called ResophNotes (which is downloaded from here), and there are a few Android apps that sync with Simplenote as well. 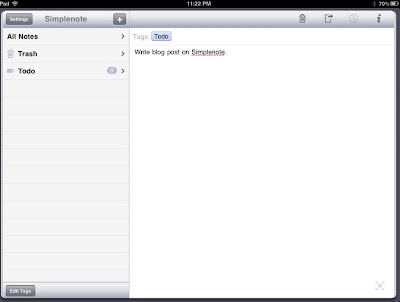 Simplenote isn't a replacement program for Evernote. It is a much simpler application that focuses on just taking notes. It gives users an environment to take simple notes and share them with others. Once you've installed the iPad app, third-party Android app, the ResophNotes desktop app, you have access to your notes anyplace you might be. Through Dropbox syncing, and that access expands even further. This is good to read and I appreciate it that you shared something good. Thanks.